Background: I admit it, right up front – I absolutely love a good burger. With no apologies to those who sit on the vegetarian or vegan side of the table ( and I support and defend their right to occupy those seats ) I say aloud that burgers are a part of my heritage and my life. Now, I don’t gobble burgers on a daily, nor even a weekly basis. But the occasional burger is like a fine wine – something to be savored. I seek out good burgers in my hometown. And when traveling to foreign lands, an occasional good burger can be like a sweet taste of home. The Urban Table Hatfield Burger is a great burger experience. The burger patty is large, around 1/3 lb. of beef to the eye, nicely plump and juicy, and served cooked to your specifications. The mushrooms and caramelized onions add lovely flavors while serving as a nice and “mushy” texture compliment to the crisp watercress. Although it’s advertised as having a soy-mustard sauce, I really was hard pressed to detect any related flavor boost. Since I had my doubts about the described sauce anyway, perhaps that is best. In fact, a bit of personally added ketchup ( with their own “BRGR” homemade brand) nicely rounded out the flavor. The ample side of french fries nicely rounds out the Urban Table burger experience. Fries are mostly of good size with few of those irritating “nubbins.” They are large and tasty without too much seasoning and have just the right amount of “limpness” which, for me at least, enhances the eating and flavor experience. Not too thin, not too fat – not too stiff and not too limp – yes, just right and real yummy! The only negative to the fries is the use of the entire potato resulting in some of the fries having potato skin on one side. Trendy perhaps, but just not my preference I’m afraid. The overall presentation is quite attractive. The burger patty is topped with a golden “salt & pepper” bun which stands tall and is light and tasty. The golden fries frame the burger making the plate pleasing to the eye. 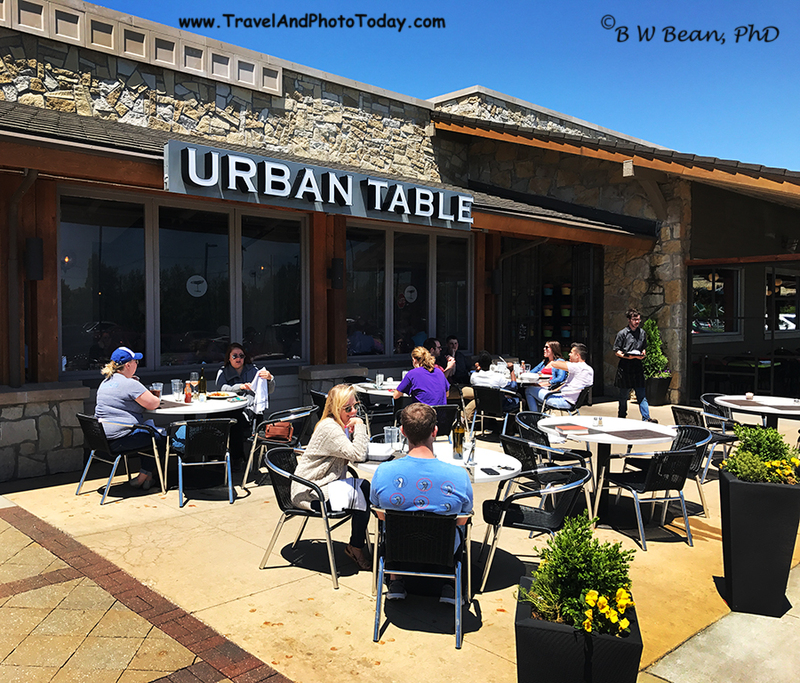 Urban Table offers indoor and outdoor seating. It’s a bit of a trendy, yuppie locale, apparently designed architecturally to enhance to clatter and chatter of typical restaurant sounds. Not exactly quiet or relaxing, there’s a bit more of a helter-skelter, hustle-bustle quality to the atmosphere.The menu is varied for those not looking for a burger experience. It’s a fine place to have a bite and enjoy a glass of wine. Of course, beer is also available – which for me is the best way to round out a fine burger meal. 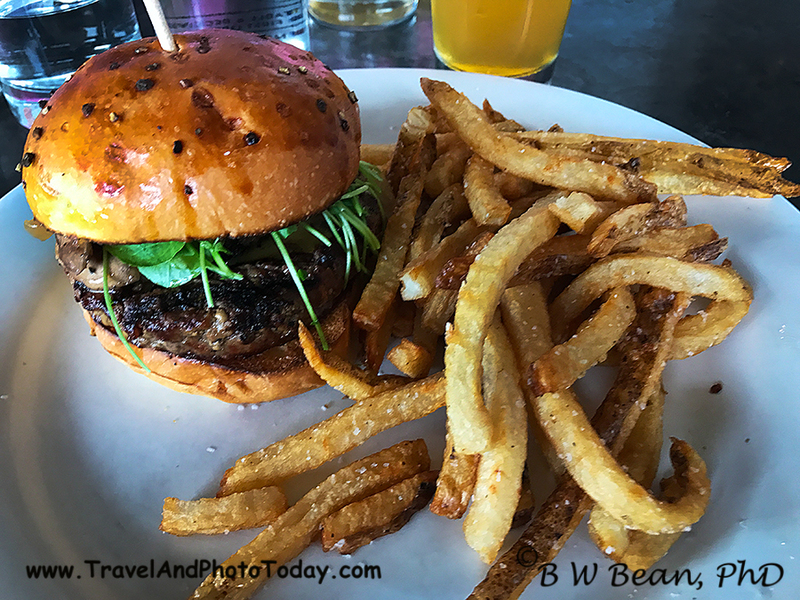 Burger Up at Urban Table ……….. And Enjoy The Adventure! 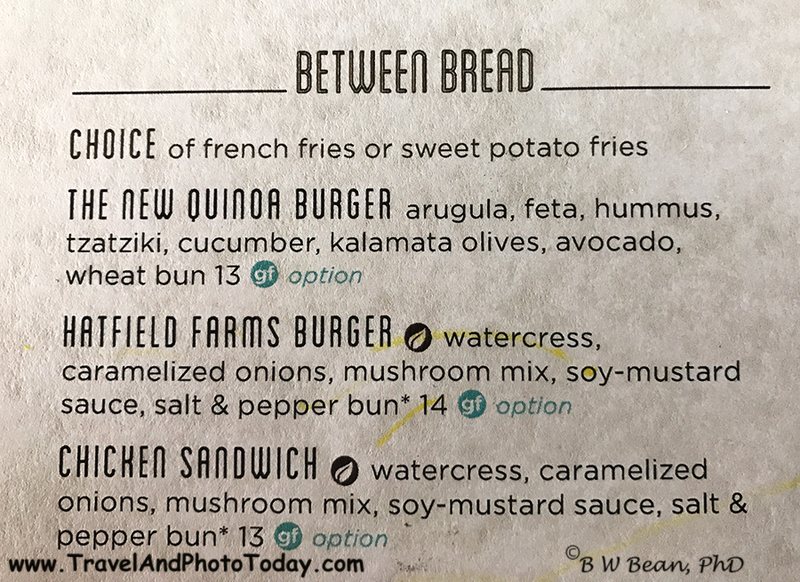 This entry was posted in General Photography and Travel, KANSAS, Restaurant Review and tagged burger, hamburger, Restaurant by Bruce W Bean, Ph.D. Bookmark the permalink.